There are 2 cat videos tagged with kisses. This adorable kitty falls asleep every time it gets kissed by its owner. The poor thing just can't keep its eyes open! 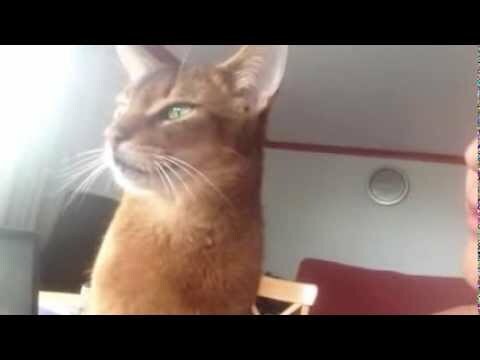 This beautiful abyssinian cat demands kisses and face rubs from his owner. He looks at her expectantly and even resorts to tapping her on the face when he's not getting enough love. At 44 seconds long, this is a happy, loving clip that you need to watch!